Palm Coast residents have been asking city leaders to install more streetlights along major roads throughout the city to improve safety. On the City’s November 13th workshop, LTG’s Vice President Gil Ramirez presented a draft of the master plan. LTG used several different standards, such as traffic volume, posted speed limits, crash rates at night and the presence of sidewalks, to rank the benefit of lighting the city’s arterial and collector roads. They then prioritized the roads where street lighting is most beneficial according to those rankings. 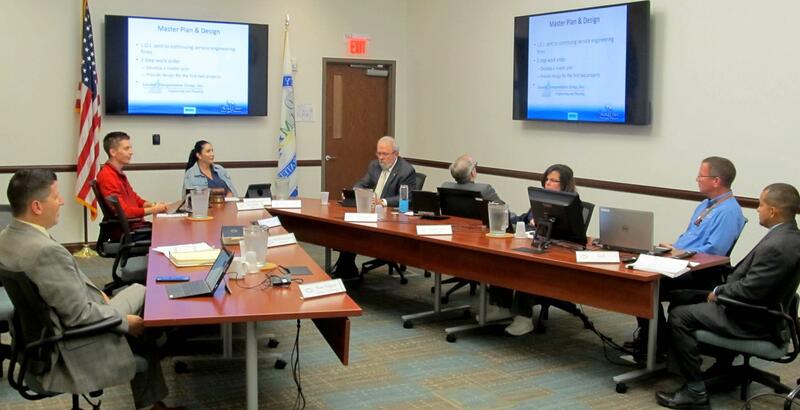 LTG was contracted by the City of Palm Coast to develop a citywide master plan which provides a priority list and schedule for deployment of streetlights throughout the city’s major roadways. LTG has also provided the City with plans for deployment of streetlights for segments of Belle Terre Parkway and Lakeview Boulevard, the first two roads on the priority list. The design plans for Lakeview Boulevard are complete and Florida Power and Light (FP&L) has provided a construction schedule. The City is now coordinating with LTG and FP&L to review the plans and schedule the most critical segments of Belle Terre Parkway.